If you’re a member of a Level 4 Clan, there are some special challenges available for you to try in the Last Wish raid. There are several Clan Bounties you can pick up from Hawthorne, such as the Forever Fight and Which Witch challenges. Your Clan must be Level 4 or above to take part in these challenges, both of which are much more difficult than they appear. 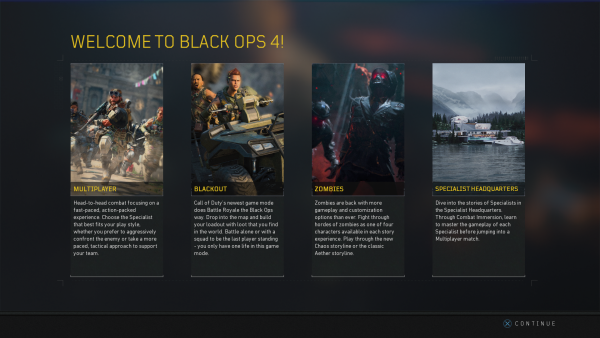 Most of the bounties on this list are Clan Raid Challenges, as the majority of the bounties can actually be completed solo but will still net you some tasty Clan XP. 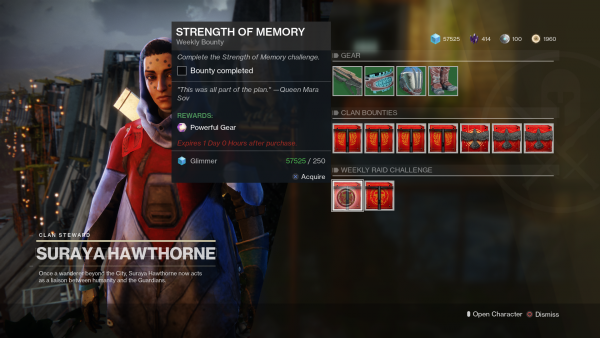 Check back with Hawthorne each week to collect new bounties and challenges. To complete the Forever Fight challenge, you must first reach the third boss in The Last Wish raid, Morgeth, the Spirekeeper. It’s recommended that you have around 550 Power for this section. There will be a tonne of adds spawning, as well as a few Ogres. You need to kill all the adds, but do not touch the Ogres. Try your best not to damage them, and definitely don’t kill any of them. Focus on the adds and leave Morgeth alone. Throughout the fight, Morgeth’s back will swell up until it forms a huge sac. When it glows bright blue, it’s time to strike, so focus all your attention on it from that point onwards. Once you’ve destroyed the sac on Morgeth’s back, it will die and you’ll complete the challenge. There are obviously other steps needed to complete this section and progress through the raid, but if you’re happy just completing this part for the challenge then it isn’t too difficult. On the surface, the premise of this challenge is quite straightforward: reach Shuro Chi and don’t get hit by her long-range precision attack. As long as no members of your team are hit by her attack and you defeat her, you’ll complete the challenge. What makes this challenge a bit of a ballache is that if you stay in her line of sight and stop moving for even a second, she can strike you out of nowhere. Even if only one member of your team is hit, you’ll lose the challenge. Your best bet would be to stay out of sight, behind a pillar or by constantly moving in the air. If you can see her or her eyes, chances are she can’t see you. Shuro Chi usually starts making some noise when she’s about to attack, so if you hear anything then instruct your Fireteam to get some cover or start moving erratically through the air. The Keep Out Clan challenge requires you to reach the Vault in the Last Wish raid and complete the Might of Riven Knights encounter in a specific way. You’ll need to have a good knowledge of the area to be able to complete this challenge, so run through the Vault section once or twice beforehand to get your bearings. You’ll have to prevent a Might of Riven Knight from entering the centre chamber to complete Keep Out. As experienced Guardians will know, as soon as the Taken Essence is picked up, two sections of the area are closed off by a Taken wall. The trick here is to be on the other side of this wall before you pick up the Taken Essence. 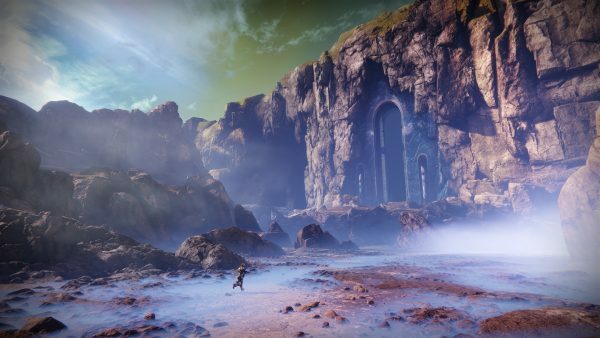 Once the Eye of Riven has been defeated, send a member of your Fireteam to one of three rooms, which are Tree, Rock and Ball. The fourth member can pick up the Taken Essence and can carry on to the centre chamber. Might of Riven Knights will then begin to spawn, and it’s important that they are defeated before they reach the centre chamber. Even if one Knight with very low health reaches the chamber, you will lose the challenge. Bringing high-damage Power weapons would be advantageous, as well as having Well of Radiance equipped. Short-range weapons are also a good shout because the Knights will stop to take a swing at you rather than focusing on reaching the centre. This challenge takes place in the Last Wish raid in the fight against Riven of a Thousand Voices. It’s quite a tricky one to beat, as the aim of the Strength of Memory challenge is to have all your Guardians avoid shooting the same Riven Eye multiple times during the fight. If this is your first foray into the Last Wish raid, I’d recommend going through it a few times before attempting this challenge. You’ll need to keep track of eyes you’ve already shot during the fight to make sure you don’t hit the same one again. If a single Guardian hits an eye they’ve already shot before, the challenge is lost. As is the norm for raids, make sure you coordinate your moves with your team and agree beforehand which eyes you are going to be focusing on, calling out which eye you’ve hit each time. Another approach would be for all six Guardians to equip Rocket Launchers with Cluster Bombs. You’ll all need to start from one side of the room and hope that Riven spawns there and the Warlocks among you should cast a Well of Radiance. You’re all aiming for Riven’s mouth, which should deal some incredible damage. Titan’s should equip Hammer Strike and it would help if your Warlock had some Lunafaction Boots. If you manage to pull this off, you won’t need to deal with a second set of eyes which makes this challenge a whole lot easier. To Each Their Own takes place in the Scourge of the Past raid against Insurrection Prime. If you have Whisper of the Worm or Izanagi’s Burden, I’d definitely take them with you for this challenge. Before you begin, you should all agree which shield you’ll be focusing on to avoid confusion. The four Guardians up front could take the shoulder blades, right shoulder and one of the knees, with the map reader taking the other knee. The sniper should aim for the armpit, as it’s the hardest to hit and you’ll probably be carrying a very powerful sniper rifle. Destroy each weak spot as quickly as you can, then carry on as normal. If you don’t take Insurrection Prime out in one phase, you’ll need to redo the weak point sequence in the same order as before. Once his health reaches zero, you’ll have completed the challenge and get some extra loot. To complete the All for One, One for All challenge, each player in your fireteam must deposit one of each symbol during the fight. That is, they deposit a circle, triangle and rectangle each. The easiest way to do this is to split your team of six into two groups of three. Have three members up top and three in the underground section. Have three members go down below and each pick up a buff, then ask the above ground team to take out the Servitor and unleash the buff holders. The buff holders will deposit their symbol into the respective deposits then go back down to grab a different buff. All three players must deposit a different symbol each time. Do this until you spawn a tank. If you repeat a symbol you’ll fail the challenge, so have someone keep score of who’s doing what if you think you’ll forget. Try and get the boss down to half health by the end of the first wave. The first team should now be picking up their final symbols – one they haven’t used previously – to charge the tanks. It’s time to swap over, so the above ground team will now go down below. Repeat the process until all three tanks have spawned and you have killed the boss, and the challenge will be completed. The post Destiny 2: Forsaken – Clan challenges appeared first on VG247.